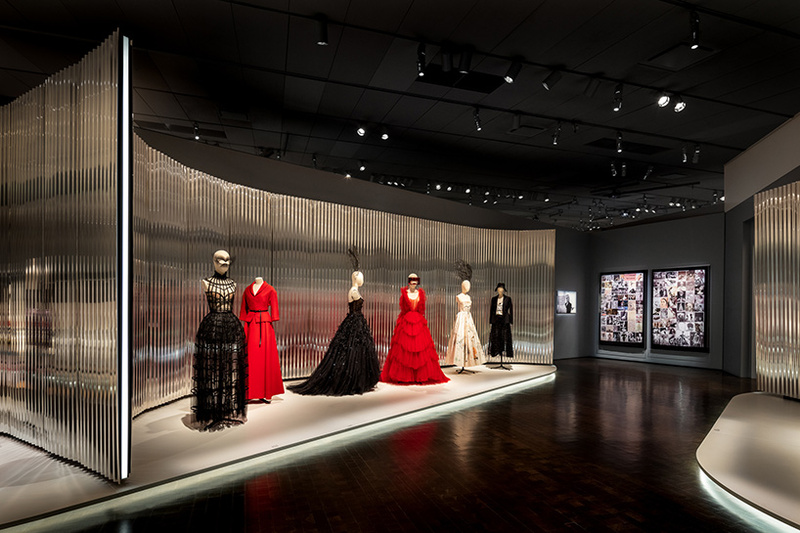 an exhibition exploring the history and founding principles of the dior fashion house has opened at the denver art museum. 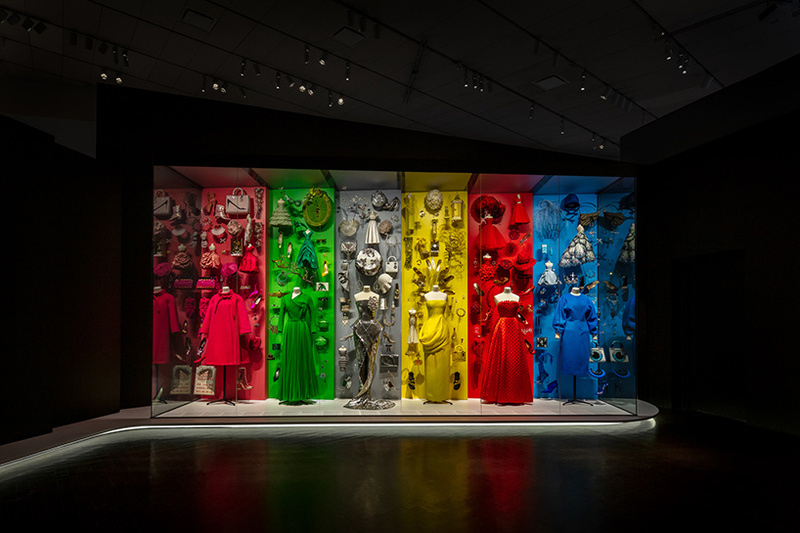 designed by OMA / shohei shigematsu, the display features over 200 couture garments, artworks and artifacts, accessories, jewelry, photographs, sketches, videos, and other archival material. 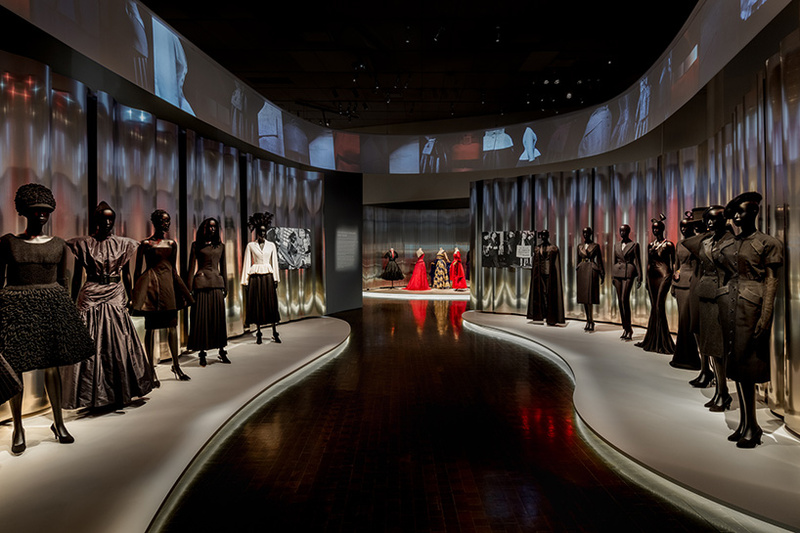 the exhibition, which is dior’s first retrospective in the united states, surveys more than 70 years of the brand’s legacy and examines the themes and inspirations that have been predominant in the history of the house and its creative directors. 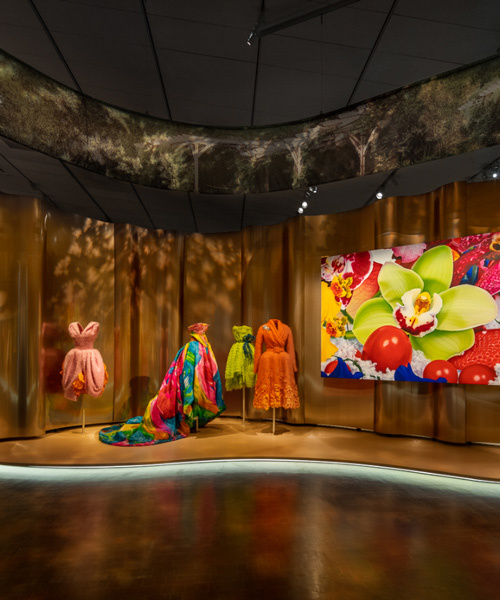 titled ‘dior: from paris to the world’, the exhibition aims to create a spatial journey through the brand’s long-history of diversity and creativity. OMA’s design responds to the contemporary context of the denver art museum’s hamilton building. the display’s materiality takes cues from the titanium cladding of the building, while contrasting its stark, industrial quality by shaping the material into organic forms. 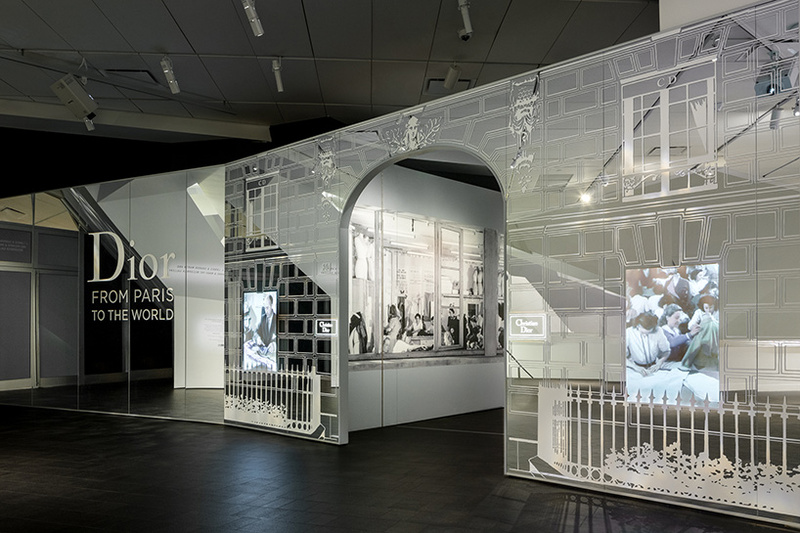 meanwhile, the spatial organization is informed by the unique geometries of the anschutz and martin and mccormick galleries. the exhibition conveys curatorial themes as a series of enfilade rooms that expand and contract to fit within the irregular gallery plan. in anschutz gallery, an organic pathway carves through the organically shaped cell-like rooms. 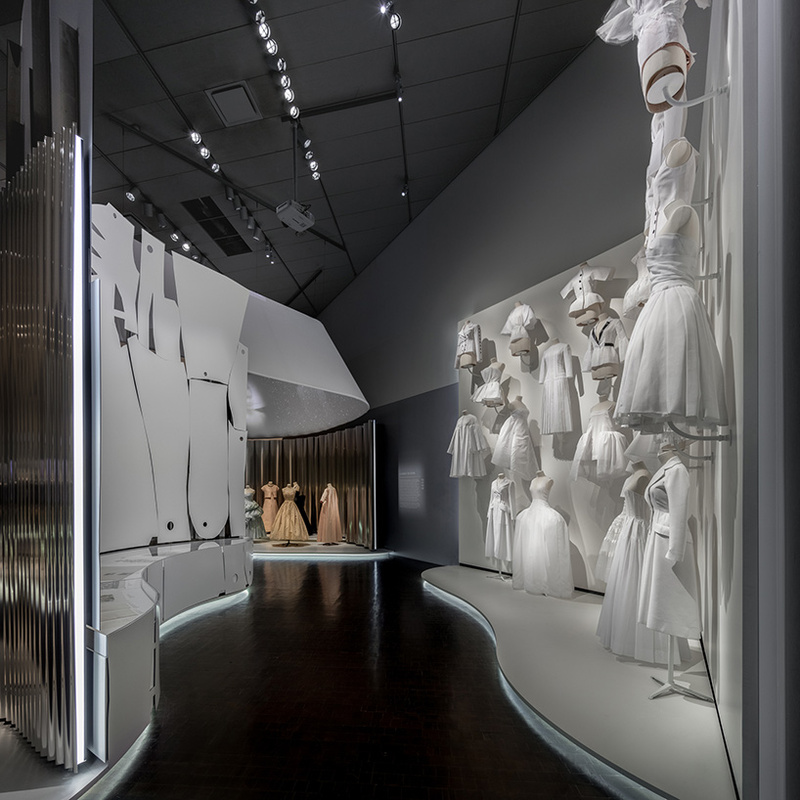 each adjacent room is defined by aluminum panels of varying curvatures, textures and profiles that echo various signature shapes of dior garments. ‘the rawness of the aluminum creates a dramatic juxtaposition against its soft curves and provides not a direct mirror, but a subtle reflection of overall shapes and colors in the garments,’ explains the design team. 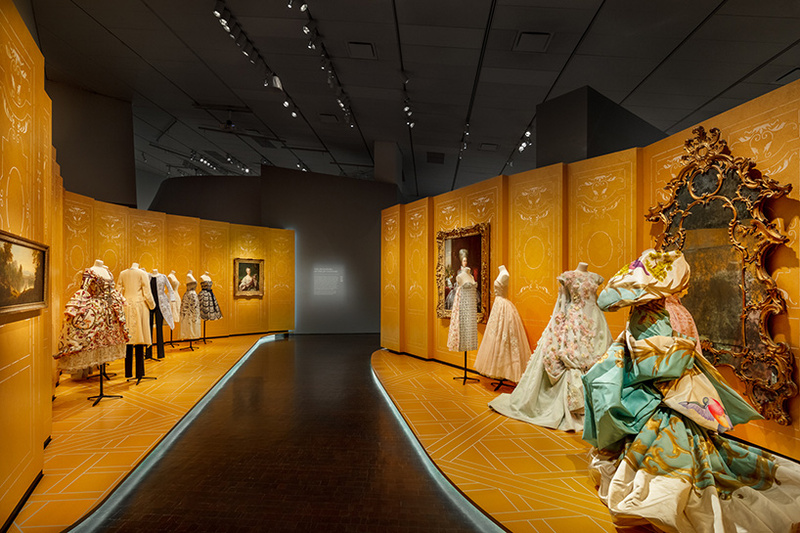 the meandering path leads into martin and mccormick gallery, which is given over to a single theme: ‘from paris to the world’. here, the aluminum material shifts from a vertical backdrop to a horizontal one. petal-shaped platforms crawl up the inclined walls of the gallery to create an immersive topography. 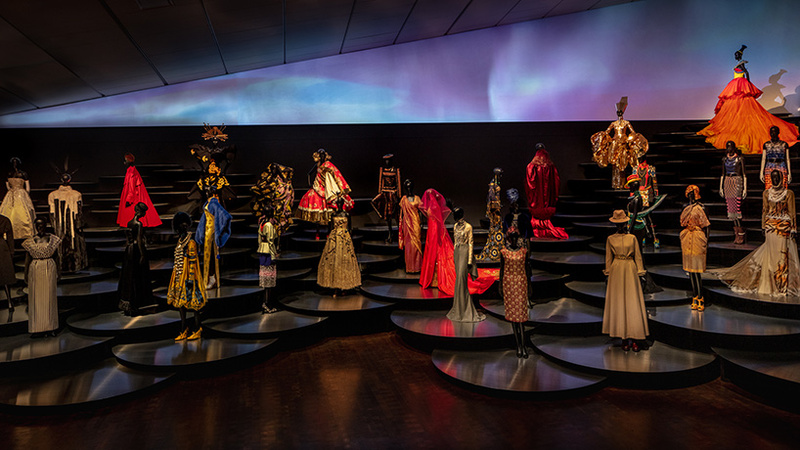 the pathway continues through a dramatic valley, where all garments can be viewed from a single vantage point. 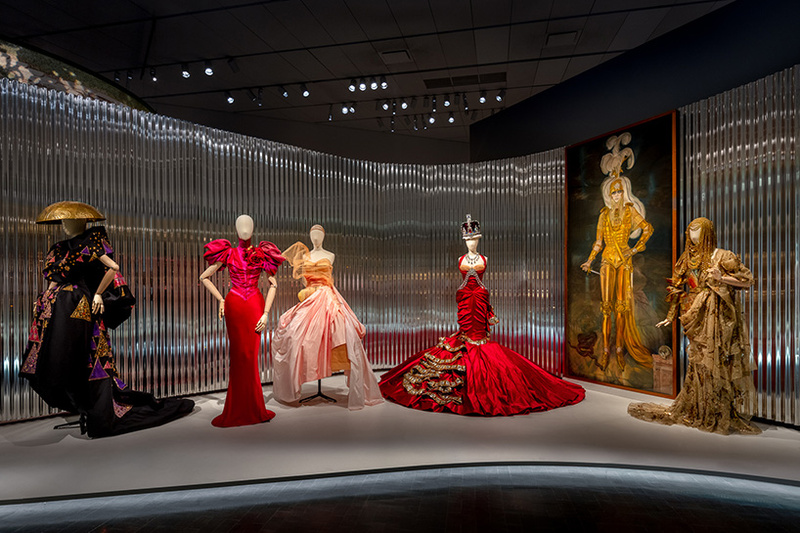 ‘dior: from paris to the world’ remains on view at the denver art museum through march 3, 2019.
in 2016, OMA new york and shohei shigematsu designed the metropolitan museum of art’s 2016 costume institute exhibition, ‘manus x machina: fashion in an age of technology’. 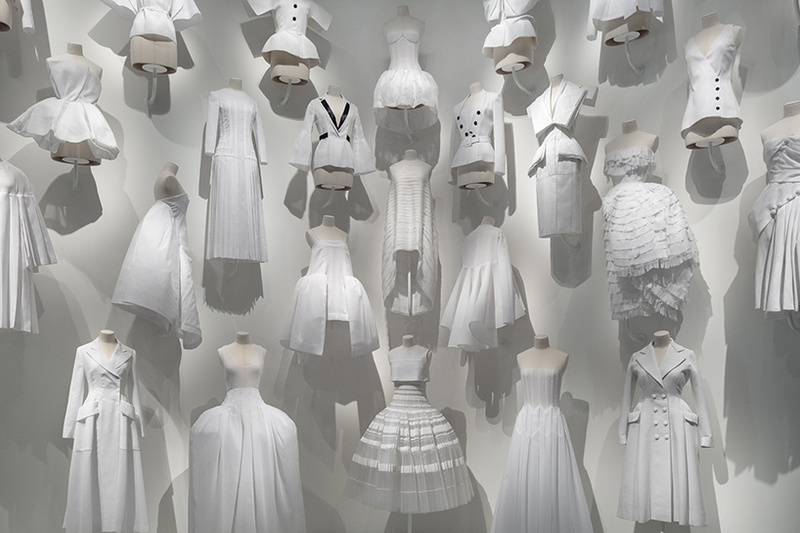 see designboom’s coverage of the exhibition here. structure and platforms: showman fabricators inc.